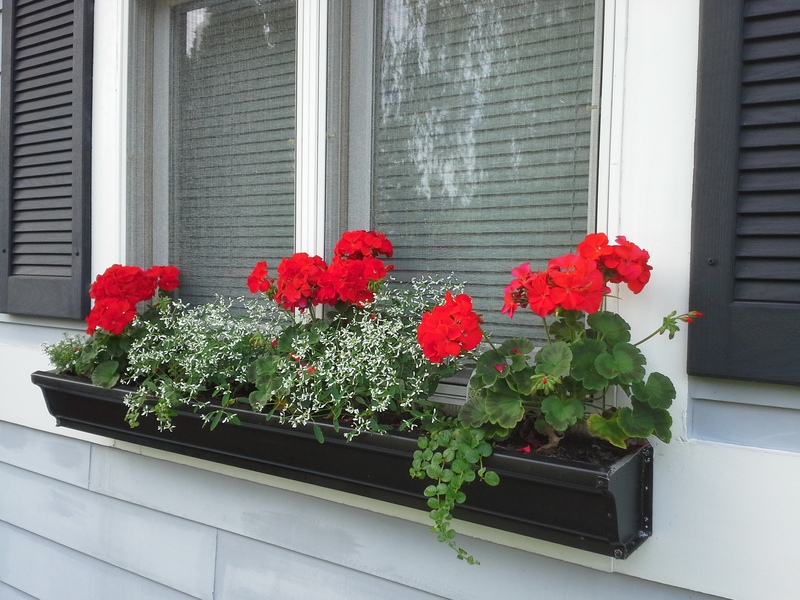 What Grows in a Gutter Garden Planter? What Grows in a Gutter Garden™? The back, mounting holes are about 2 inches apart. 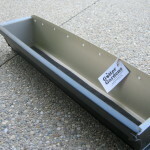 The bottom drainage holes are 4-6 inches apart and are covered with a filter to keep the dirt in. 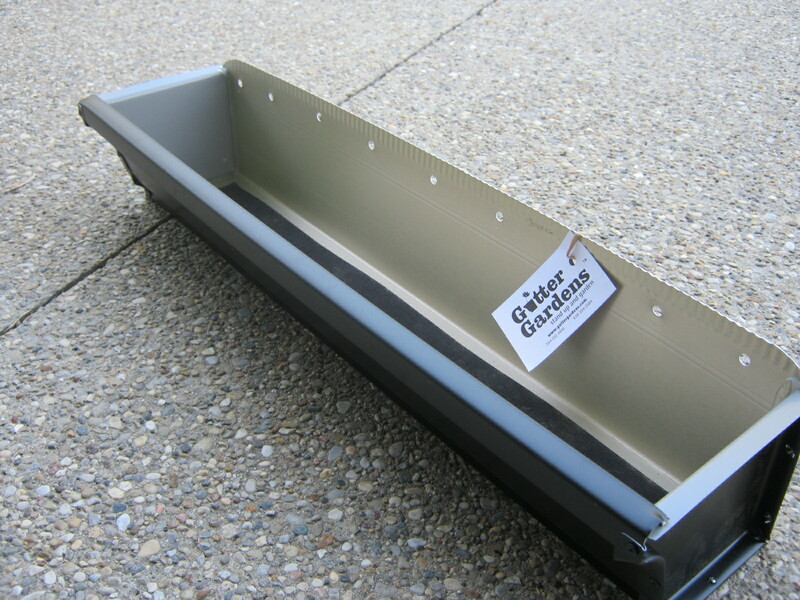 Matching colored end caps are riveted on and have a non-toxic sealant. The hardware you need depends on where or how you want to hang it. What can I grow in a Gutter Garden™? 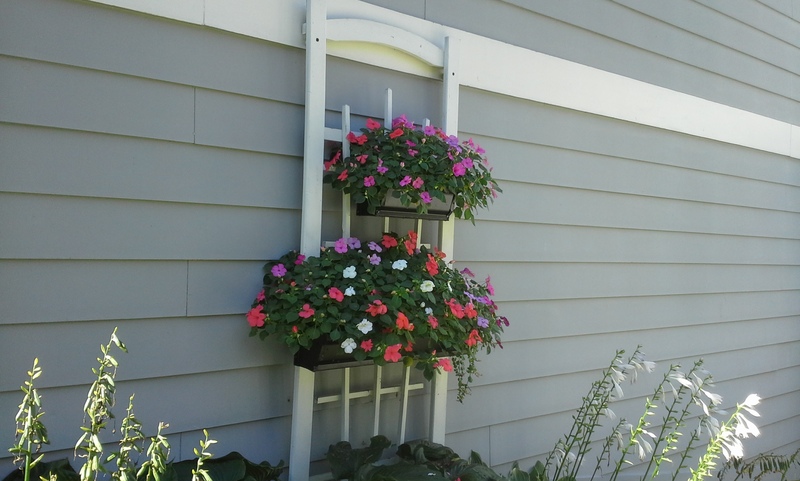 Geraniums with white and green accents make a lovely statement. 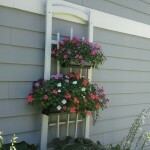 Full shade means a great place for impatiens. Flowers that grow in Gutter Gardens™. 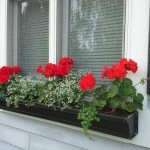 Crash mini-course in botany: Annual plants usually only live one growing season in a particular location and are excellent for a gutter planter. 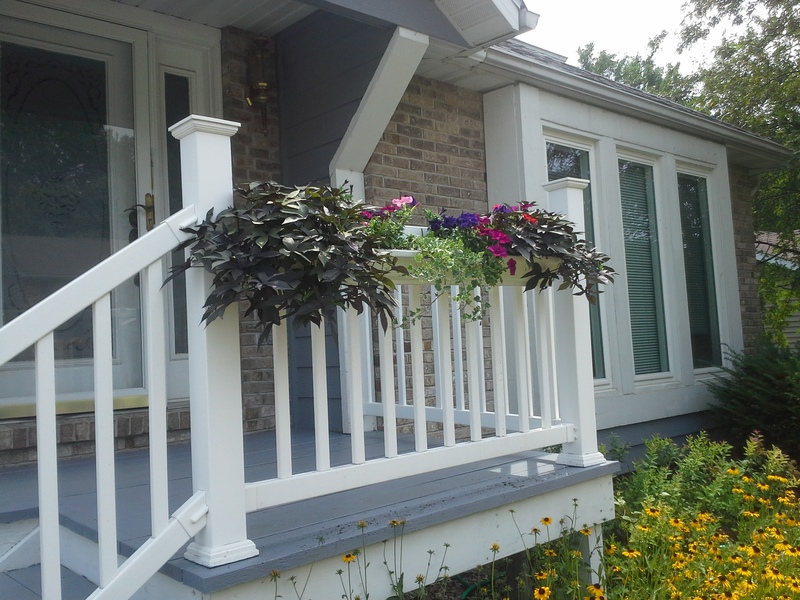 Perennial plants usually come back season after season…but after the first season, they will probably not grow back if planted in a any kind of container. Plant roots need the protection of the ground to survive cold weather. All purchased plants and seed packets have the growing zone area that is optimal for the plant. Some plants that are only yearly (annuals) in Michigan may be perennials (come back every year) in Mississippi. The information that comes with the plant/seeds also includes what Sun requirements and Watering needs are best. 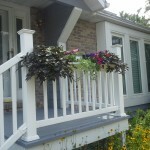 Contact our master gardener at: laurie@guttergardens.com for specific questions. requests and suggestions.